We are one of the best Magento eCommerce web design and development company in Patna, Bihar. 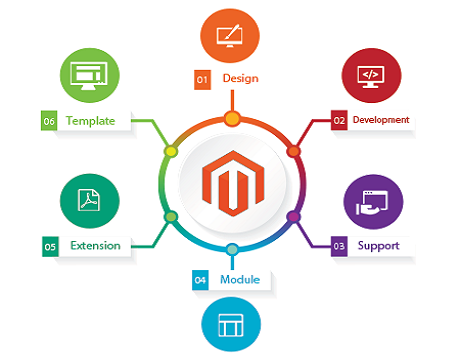 Magento was conceptualized with the idea that every ecommerce execution has to be distinctive as every business succeeds due to its distinctive quality. Magento is an open-source E-commerce application used by large-scale companies across the world such as Harvey Nichols, Nokia and Fred Perry. There are no limits to creativity with Magento. At Ewebtonic, we provide Magento Development services in Bihar. We offer holistic e commerce solutions for your Magento websites. We deliver an entire series of services related to web design to increase your online existence. Whether it is building a B2B online store or B2C shopping cart based website, our Magento team has deep-embedded experience in creating all sorts of virtual shops. It allows you to have complete control over every facet of your store, from merchandising to promotions and more. We are a reliable and certified Magento Development Company in Patna. Our Magento websites have influenced the visibility of numerous online shops on the digital platform. Provides versatile E commerce solutions that allows online retailers to build the next-generation web-based shops with complete focus on usability & design. Latest open-source web solutions with unparalleled control and flexibility. Easy integration of third party components and secure payment gateway integration with Magento Development.